132 new entries added to restaurant and fast food slogans, restaurant slogans, fast food slogans, food slogans, slogans for food, that include pictures. 1. The Plum Tomato. "Food so good it's addictive!" Do you know where the largest restaurant is located? Or how about the oldest restaurant in the world? Here are a a few interesting facts on fine dining. The Average American Spends $2505 Eating Out. The Worlds Oldest Restaurant is in Spain. The World's largest restaurant is in Syria. 1 The Plum Tomato. "Food so good it's addictive!" 2 Life is Too Short For Average Food! 3 Una Mas. Get More Of What You Really Want! 7 Make People Happy, Have Some Fun and Be Number 1! 11 Pier 49 Pizza. Fall in love with pizza again! 14 IHOP restaurant. Come hungry. Leave happy. 15 Whatever your occasion, Williamson makes it one to remember! 16 Thai Orchid. The Place To Be For Thai Food! 17 Ham's Restaurant. A good time. 19 Sveden House. Food for the Entire Family! 20 Sir Walter Raleigh. Good food. Good cheer. Good times. 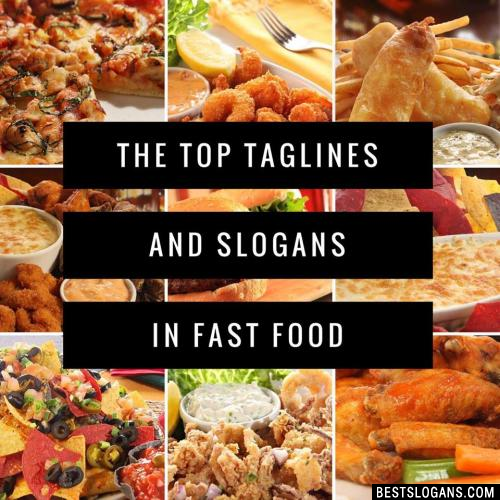 Can you think of a good Restaurant And Fast Food Slogans we're missing? Or come up with a clever one of your own. Please share below.